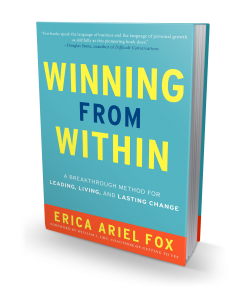 Winning from Within by leadership and negotiation expert Erica Ariel Fox presents a contemporary approach for getting more of what you want, improving relationships, and enjoying life’s deeper rewards. With principles developed while teaching negotiation at Harvard Law School and coaching executives around the world, Fox provides a map for understanding your inner world and a method for sorting yourself out. Fox uses insights from Western psychology and Eastern philosophy to resolve the gap between what people know they should say and what they actually do. She explains how to master your “inner negotiators,” whether working with a difficult client, struggling with a stubborn spouse, or developing your highest leadership potential. With a Foreword by William Ury, coauthor of the classic bestseller Getting to Yes, Winning from Within: A Breakthrough Method for Leading, Living, and Lasting Change is your guide to greatness. 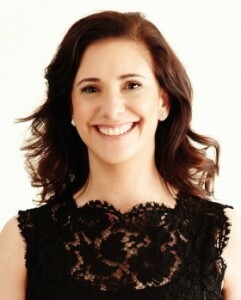 Erica Ariel Fox teaches negotiation at Harvard Law School, and is founder of the Harvard Negotiation Insight Initiative (HNII) at the Global Network for Negotiation Insight and Exchange (GNNIE). Mixing nearly two decades of experience with business leaders and a personal touch, Fox brings a unique voice to the conversation about leading wisely and living well. A highly sought-after advisor, Fox works with senior leaders around the world with her partners at Mobius Executive Leadership, and she is also a Senior Advisor to McKinsey Leadership Development. A member of the Core Faculty for the American Institute of Mediation and a board member of the Harvard Mediation Program, she received her undergraduate degree from Princeton University and her law degree from Harvard Law School. She lives in Boston and Amsterdam.